My uncle and his family. Photo taken by the Puhi/Haʻo ʻohana. “The light bulb came on,” he said. This is for my uncle. I grew up around strong men, men who stood for something. They were the type of men whose hands were calloused, whose skin was darkened by the sun, who wore dirt like it was a part of them, their hats always rimmed in sweat stains. They were rough men who could inspire fear. But, oh their voices could soothe when I needed them to and their hands could hold my own when I wasn’t strong enough to stand. They taught me of strength. I followed them in my youth: large rubber boots digging into rain-drenched forest floors. Silently stepping where they would step, I’d watch them not knowing if my feet would ever plant as deeply as theirs did or if my hands would ever be as steady. They were giants in stature with hearts to match. They’d give everything, even when receiving nothing in return. They taught me of sacrifice. Yesterday, I spoke to one of these men: my uncle. Through the small screen of my phone, I saw him standing on the side of the road, a Hawaiian flag draped around him, tied securely on his right shoulder. His dark eyes seemed to look straight across oceans; his brow wore its usual wrinkle. He held a sign reading: “Stand for our Mauna!” Stand for our mountain. He’s always stood for something and now years later, he stands for something still. No longer a child, I watch him and all of the other men who I grew up around. Like the ʻaʻaliʻi, they bend, but never break in the wind. They teach me of resilience. Like a true uncle, he took a break from his sign waving, the sound of car horns filling the background, and asked me how I was, living so far away from home. Amazed at the wonders of modern technology that allowed me to be “there” without actually being there, he wanted to know what I’d be having for dinner, his voice full with the same humor that comforted my childhood, his feet still rooted in the ground. “The light bulb came on,” he then said confidently. He had gathered with countless others, holding signs, showing their support and standing for Mauna Kea. He was dedicated. “We have to do it now,” he said, “or we’ll lose everything.” “I’m doing this for the kamaliʻi.” For the children. I thought about his grandchildren, my little cousins, who I had talked to just before, their bright smiles giving me a spark of hope. And I realized that they’d follow him, their feet planted, their hands turned toward the ground, ready to tend and heal it. He’d lead them just as he and my own father led their children: by embodying those values that our kūpuna lived by. I grew up around men who did not have to preach about aloha ʻāina because they knew of no other way to be: hands always soiled, feet always treading lightly, even while carrying the weight of generations. And I realized, as I looked at him wearing his Hawaiian flag and waving at cars as they passed by sounding their support, that his “light” had always been on and it had always shined brightly, guiding us, teaching us, illuminating our paths. However, he spoke as if he had just become a part of the movement. “The light bulb came on,” he said, as if he had not been a part of fighting, standing, and striving for the betterment of our people and our land all along. But to me, he’s always stood for something, even when perhaps he didn’t realize it, and even when perhaps he didn’t receive any acknowledgement. Part of my childhood was spent watching him, my father, and countless other uncles stand for the life of our forests, for our livelihood, for our future. It often took them away from us; it sometimes brought hurt and anger. But it brought hope in equal measure. They taught me of responsibility. And they teach me still. I hung up the phone wishing that I had told him how I felt, that it is because of him and the many other strong men in my life that I even know how to stand, firmly rooted, grounded in the wisdom of those who came before me. Men like him and my father taught me about aloha ʻāina before I even knew that it was a concept to learn. I wished I had thanked him. But I pictured him standing there, on the side of the road, our Hawaiian flag draped around him, with that same familiar smile that he always greets me with, and I knew that he’d be content just knowing that I will always stand with him, our hands turned toward the ground. Categories: History, Mauna Kea, Reflections | Tags: Activism, Aloha ʻĀina, family, Kū Kiaʻi Mauna, Mauna Kea, resistance, responsibility, TMT, Waimea | Permalink. 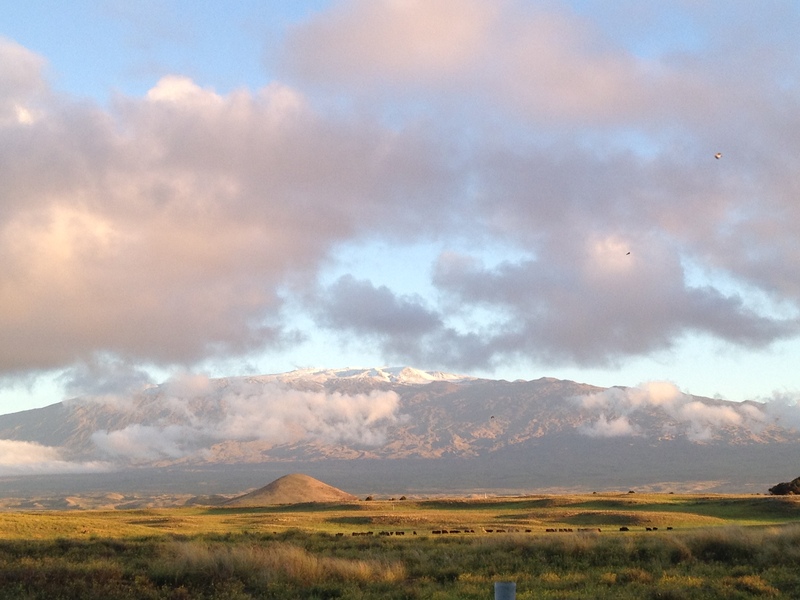 I write to you not to restate what previous letters regarding Mauna Kea and the Thirty Meter Telescope (TMT) have already made clear (like that submitted by the six Mauna Kea Hui Litigants and Supporters for the Protection of Mauna Kea). You know of the illegalities. You know of the wrongdoings. You know of why construction on our mountain should stop. I am sure you have heard of the growing commitment to aloha ʻāina currently spreading across our islands; it is a commitment to stand and protect our land at the risk of losing jobs, at the risk of affecting families, at the risk, even, of being arrested. News of this movement is spreading worldwide. In fact, I write this letter to you from New Zealand where news stations have reported on the issues, garnering support for our people and our land back home. Therefore, I write to you not to remind you of what you already know, and perhaps what you have already witnessed yourself, but rather to urge you to act. Now is the time. Now is the time to set a precedent for the future. Construction must stop. What has taken me so far away from our mountain and our home is the pursuit of knowledge. Thus, as I sit here immersing myself in the words of great scholars and thinkers who have shaped my understanding of the world, I realize that those values and lessons being taught and embodied right now in Hawaiʻi—by those standing on the mountaintop, by those leading demonstrations on university campuses, by those holding signs on roadsides, and by those writing, singing, praying, and even dancing for our mountain—are those same values and lessons that revolutionary thinkers and agents of change have been preaching for decades. Therefore, it is time we listen. One such influential thinker, Frantz Fanon, once said, “We are nothing on earth if we are not in the first place the slaves of a cause, the cause of the people, the cause of justice and liberty.” Our responsibility on earth is to stand for a cause that will ensure that our descendants have a future, that they have a life, and that they have the resources they need—whether physically, spiritually, culturally, or intellectually—to live fully. Thus, our cause is one of protection; it is one of protecting the life of our future. This same sentiment can be found in the words of so many world leaders. However, much closer to home, our people have a proverb: “He aliʻi ka ʻāina, he kauwā ke kanaka,” meaning, “The land is chief; man is its servant.” In other words, what you are witnessing in the islands right now is a strong commitment to that role and responsibility as stewards of the land. What so many have seemingly failed to realize, however, is that to stand for the life of the land is not just a Hawaiian responsibility. It belongs to all of us regardless of race, status, or religious affiliation. That includes you as someone in the highest position of executive authority in Hawaiʻi. There have been many attempts to disregard the words of those opposing construction of the TMT, often through the use of language suggesting that they are simply a group of “Natives” protesting against the desecration of sacred ground. Such rhetoric was used to lessen our concerns and to take attention away from the actions of the University of Hawaiʻi, the Board of Land and Natural Resources (BLNR), and further, the issuing of the Conservation District Use Permit (CDUP), a permit that should never have been issued. It took attention away from the fact that this is not just a cultural issue, but a social and an environmental one as well. 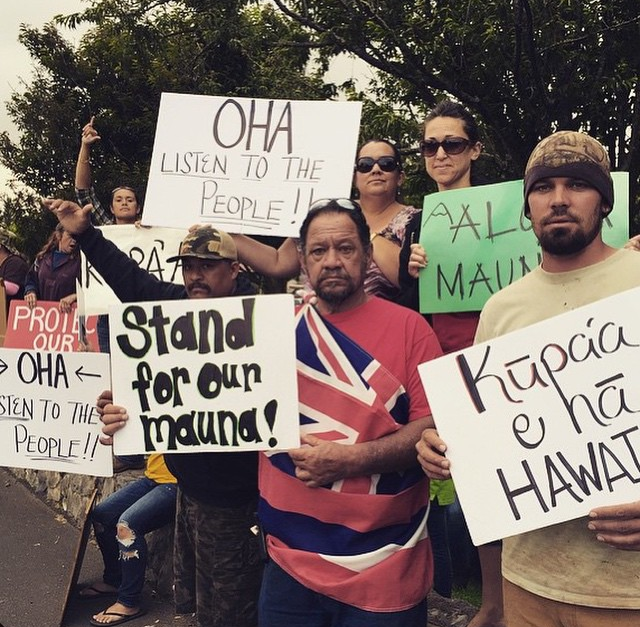 While there are many Native Hawaiians at the forefront of this movement to protect Mauna Kea, and while many do honor the sacredness of our mountain, there are others standing with them who come from various backgrounds and beliefs. They are all pulled together, however, by one cause: “the cause of the people, the cause of liberty and justice.” To fight for Mauna Kea, in other words, is to fight for the future, to fight for our land and water, to fight for the life of our descendants. This is a human concern. It is a human issue. Therefore, it is time to listen, time to act, and time to halt construction on the very pinnacle of our existence. I write to you as a fellow resident of Hawaiʻi. I write to you as an aloha ʻāina, as a protector of our land and resources. And most of all I write to you as a wahaʻōlelo, or a mouthpiece, for all of those who cannot speak, for all of those who cannot write, and for all of those who have not yet been born, those who will one day have to live with our choices. We will continue to stand for their futures. Stand with us. It is time. The Frantz Fanon quote featured in this letter comes from Fanon: A Critical Reader edited by L. Gordon, T. D. Sharpley-Whiting, and R. T. White, page 5. Categories: Uncategorized | Tags: Activism, Aloha ʻĀina, BLNR, Fanon, Governor Ige, Hawaiʻi, Kū Kiaʻi Mauna, Mauna Kea, Petition, Support, TMT, University of Hawaiʻi | Permalink. I wandered into a used bookshop yesterday not knowing why. My feet seemed to guide me there, and in my depleted state, I simply followed. It had been a strange day. Walking through the city, I somehow felt as if my heart had swam across ke kai kāwahawaha o ka moana Pākīpika, the furrowed waters of this Pacific Ocean, leaving my body moving slowly, without purpose. I didn’t want to be here. I wanted to be on my mountain, standing with the other kānaka kū kiaʻi mauna, the other protectors of our home. I had been following the movement—the incredible movement of hope occurring in my beloved Hawaiʻi—and was moved as I watched people come together across the island chain to stand for the life of our mountain. And yet, a sadness stirred within me as my feet tread upon the land of long white clouds, yearning to plant in the soil of my ʻāina kulāiwi. The centre is the now place which each of us occupies for a time. From the centre one reaches in any direction, to the outer circles from where understanding and inspiration are drawn. There is no great distance in the reaching because we are our own tūpuna. Also we share the dust of stars. Reaching out and drawing in one comes to know oneself, becoming whole and human. The words of Māori novelist, Patricia Grace, seemed to reach out to me, embracing my cheek like the gentle touch of a kupuna, a tupuna, an ancestor. I wanted to cry. But in that moment I realized the purpose of me being here, thousands of miles away from my mountain, away from my people, away from my home. I am but one voice. And there are times that I get caught up in being just one voice, one small voice, armed with words and a bit of awareness. There are times that I get caught up in asking myself if I have the ability to really do anything to initiate change. Then I read something like this and remember that I am of no use to my people or my home if I lose any sense of hope that even the smallest voice can stir oceans, can stand upon mountains, and can ring across the sky. For as Grace reminds us, “…we are our own tūpuna…” They are not separate from us; they are not gone, away, untouchable. They are here, wherever here is because we carry them with us, always. So wherever we stand, we stand as many. And whenever we speak, we speak as many. And whenever we fight, we fight as many. We are our ancestors and our descendants will be us, reaching out to draw inspiration from our actions now. So we must give them something to stand with, to stand for, to stand by. 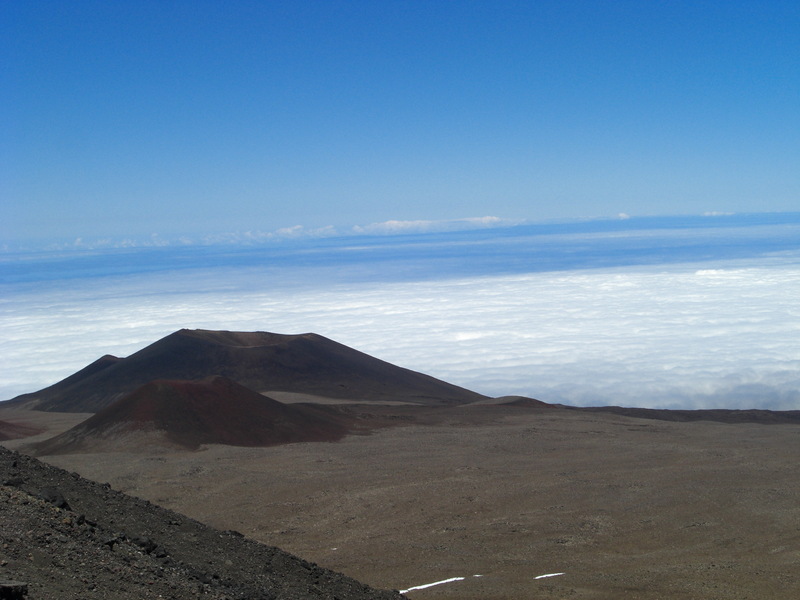 For those of us who cannot be there physically, standing upon our Mauna Kea, we need not reach far to be there emotionally, spiritually, culturally. For as Grace states, “There is no great distance in reaching…reaching out one comes to know oneself, being whole and human.” So we reach from every corner of the Pacific, drawing understanding, drawing inspiration, drawing support, and drawing hope to the center of our existence, wherever that center may be. And in the act we come to know ourselves as connected, as truly connected. That is why our mauna matters, why our people matter, why this movement matters. It is because that connection makes us whole, makes us human: conscious of responsibility, ready and willing to move, to act, and yes, to raise our voice, no matter how small it may be. This is not a Hawaiian movement, a “native” movement, an “indigenous” movement. It is a human one. It is time to stand for the betterment of our future through protecting our ʻāina, our whenua, our land and mother now. So stand with us. Kū kiaʻi mauna. Stand as a protector. Wherever you are. Whoever you are. Stand as and stand with your kupuna, your tupuna, your ancestors, using their languages to speak to new issues, using their metaphors to understand current fights, using their values to guide current actions. No longer will I waste time walking unconsciously, heart across the ocean, head bent, caught up in my own doubts. I will stand with you, e kuʻu mauna—connected, whole, human—and will walk with you, e nā kānaka kū kiʻai mauna, until the last shout, the last chant, and even the last whisper of my voice. Categories: Activism, History | Tags: Aloha ʻĀina, Aotearoa, Hawaii, Kū Kiaʻi Mauna, land, Mauna Kea, Mountain, Protect, TMT | Permalink.